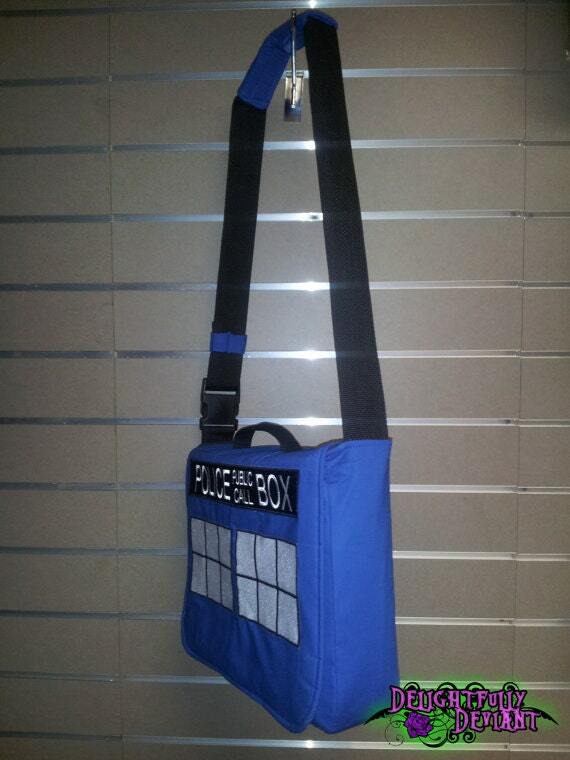 Show your police box collector pride with this amazing messenger bag! As versatile as a multi-function screwdriver, this Messenger bag is constructed of 100% cotton, lined with a durable cotton canvas inner shell. Each bag is 13x14, and 4 inches wide, and is carefully handmade in the USA. 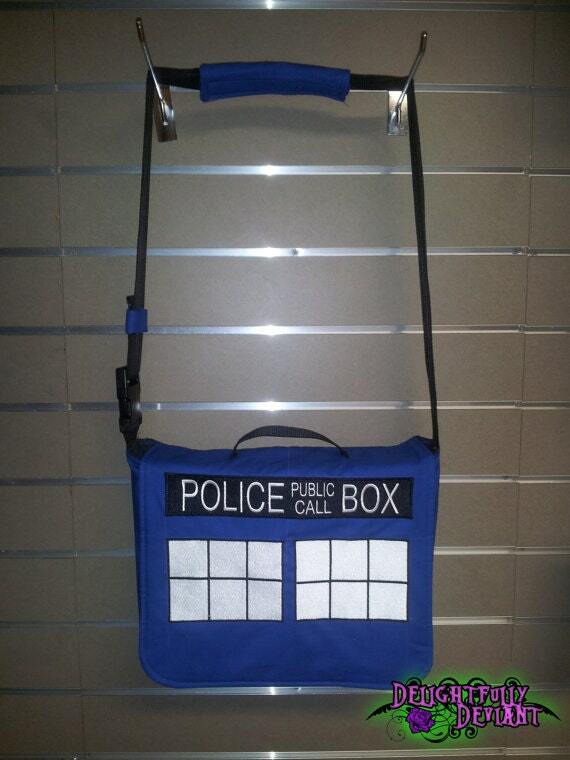 This messenger bag sports proper police box windows and the Police Call Box sign! All of the work is done in top quality Heat Seal Detail but is also available in embroidery that takes 2.5 hours from start to finish for durability and beauty. 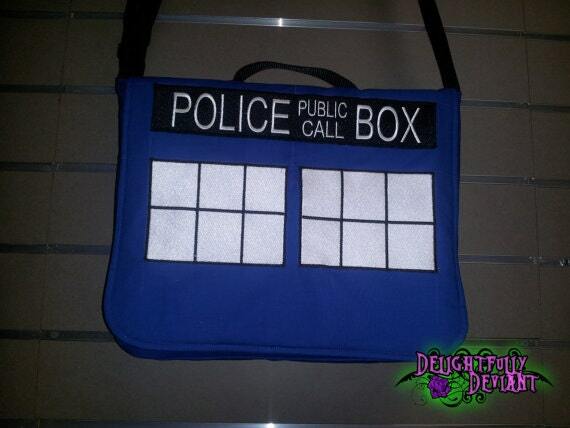 It also features a quilted strap cover on the shoulder strap for comfort. Just want one patch from this bag? We can do that! Check out these other handy listings to choose the perfect patch for your needs.